From primitive man's cowrie shells to the electronic cash card, from the markets of Timbuktu to the New York Stock Exchange, The History of Money explores how money and the myriad forms of exchange have affected humanity, and how they will continue to shape all aspects of our lives--economic, political, and personal. The Ascent of Money is a fast-paced, superbly written, and richly informative excursion through tableaus, themes, scenes, and events that mark the financial history of the world. Included are substantial details on the fiscal meltdown in progress in May 2008, before the book went to press, adding a 21st century variation on the theme of financial collapses detailed in The Ascent of Money. 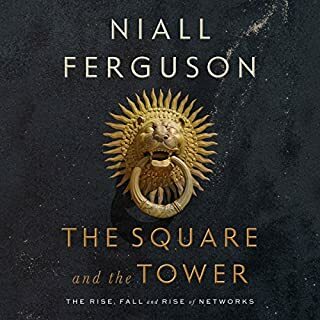 Niall Ferguson has written an exciting panorama of finance that is also very much a book for our times. This is history as global financial drama, of advancing financial development, and the always recurring back stories of financial decline and debacle. It is a book orchestrated as much as written. 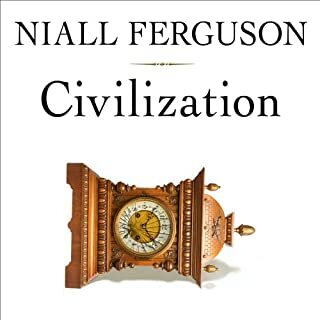 The Ascent of Money demands a narrator with the range of talents necessary for bringing to voice the rich orchestration of Ferguson's prose. Enter, stage right, Simon Prebble. Bread, cash, dosh, dough, loot, lucre, moolah, readies, the wherewithal: Call it what you like, it matters. To Christians, love of it is the root of all evil. To generals, it's the sinews of war. To revolutionaries, it's the chains of labor. 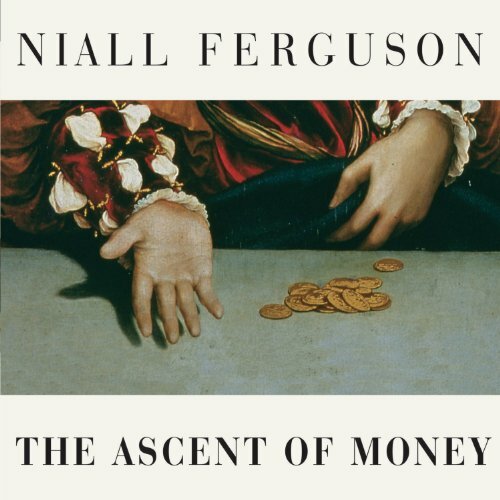 But in The Ascent of Money, Niall Ferguson shows that finance is in fact the foundation of human progress. What's more, he reveals financial history as the essential back story behind all history. After hearing the author on the Conversations with History podcast I decided to pick up the book. The book is informative but so dry in places that the ah-hah moments were strategically placed oases. It took a pair of multi-week breaks to get through it. I don't regret it because I do think the book is one that the well read person should have under their belt but my goodness, it was hard to get through! I truly hope I am in the minority on this. A) Great narrator: British, droll, charming. B) I am a history and casual econ nerd so this book was a perfect fit. Most of the book, which focuses on the rise of banking, currencies, international trading, and all that comes with, was absolutely fascinating. Well-researched, and well-presented. I'm not sure how confusing some of the topics would be to grasp for someone with no background in finance, but it shouldn't be too much of a chanllenge. C) The part of the book I found less interesting was the last 1/4 which focused more on our current economic situation and how we got there. 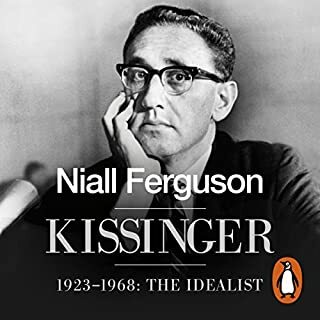 It's a pretty well-worn topic and Ferguson, while walking through the subject with great descriptions and personal stories, doesn't really shed any new light on the topic. Overall, a fascinating and educational listen. As a student of and a trader in the Futures and Equities Markets, I am surprised to see in this book, an accurate, insightful, and sane exposition of what the markets are, whence they came, how they interact, their beauties and pitfalls, and wither they might go from here. Almost everything else written on this subject is gruel for the masses. This book is a repast of intelligence and clear thinking. My only regret is the public could not have had this book a year earlier. Politicians and the press & media just obfuscate and blather about the economy, but this is an extraordinary book that will educate all. As we go into a very, very bad time economically, the author gives an excellent presentation of the history and meaning of money in its varied forms that will help and guide the reader in making choices and in voicing their concerns and needs to their elected representatives. A thoroughly elucidating book that is timely and accurate. This book was written in the earliest days of the current financial crisis, and completed sometime around May, 2008. As a result, it is both quite prescient about the causes of the current unraveling of the world financial system, and a bit out-of-date as so much has changed in the months since the book was published. If you are looking for something to explain the way that the current financial system was developed for the past three hundred years, and how the roots of the current crash go back deep into the history of finance, this book is an excellent and entertaining guide. It will introduce you to everything from the causes of the 1980s S&L scandals to the birth of investment banks to the inflationary pressures caused by the Spanish conquest of the New World, and demonstrate how these concepts are related to the current financial system. You will learn that crashes have always happened, and likely always will, so the book succeeds well as current commentary. It is somewhat less successful as history of money, however, since the sections of the book, each named after a different type of financial instrument from insurance to bonds, are not really detailed histories of each topic, but rather a series of vignettes that illuminate a concept in the development of a particular financial instrument. 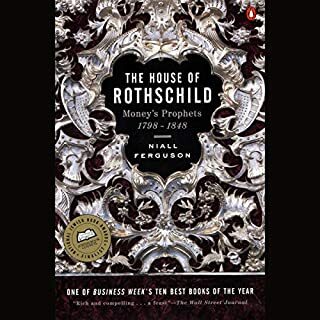 The book focuses on the Rothschild family to explain the history of banking, the rise of Pinochet to explain the role of free markets, and so on. These stories are interesting and important, but they make the book feel more disjointed than a typical linear history. Similarly, the level of detail of the book fluctuates between fairly popular descriptions and very detailed statistics. Overall, if you are either motivated to learn about the financial system, or you have a general interest in financial history, this is a wonderful book. Those who are less interested in the details, or who expect a complete account of the ascent of money, may be less impressed. The rise of stocks, bonds, and insurance. What I like best about this book is the way history is brought to life in the form of stories. These stories include the rise of currency, bond market, stock market, insurance market, real estate market, and China. Much of the earlier chapters occurred prior to the introduction of the US stock market. So if you are interested in early stock market tales then I would recommend listening to Reminisces of a Stock Operator. If you interested in US financial history prior to 1990 but in the 1900’s then try The Book of Investing Wisdom. If you’re interested in economic recoveries then read Anatomy of a Bear. 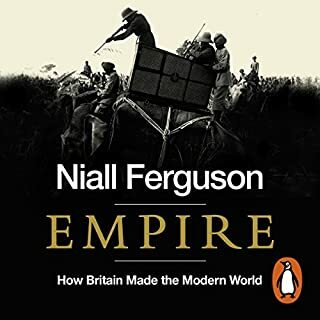 This book includes the rise of the Rothchild family, Dutch Indian Spice Trade, cotton bonds by the Southern Confederacy, international investing by the British prior to 1914, the gold standard, Amsterdam stock market, insurance benefits for priests, founding of Hong Kong, risk (hurricanes, welfare state, hedge funds) micro loans etc. When I hear of the British health care system I think of the recent heath care reform. Why presented as financial history it comes across as economics. Quants and company financial statements it is not. It could have been made stronger by tying some of the subject matter more closely to theory. For example, the book “Age of Turbulence” looks to understand why many oil rich countries do not have strong economies. When discussing the mountain of silver in Latin America, there is not much talk of why a resource can hinder economic development. Because much of the information is historical storytelling, it can come across as interesting when new and slow when old. I considered the stories of Enron, Katrina, Long Term Capital, and the financial crisis of 2008 to be the slowest. And I could have done without the comparison of “human” evolution with “financial” evolution. Very informative, I recommend it but my only dislike was the narration--to me it was "flat" and I tired of the narrator before I tired of the information. But, again, that is just me. This is an accessible yet detailed history of finance. The historical content was engaging and was the sort of thing that you've probably never heard about, even if you are a history buff (as I am). Even with extremely limited background knowledge, I had no trouble following along and yet it was in-depth enough to hold my attention. Despite the subject matter, it doesn't get wrapped up in numbers so that it gets tedious to hear in audio format, unlike many other books about financial matters. The narration was truly excellent. Easy to understand and I can't remember even a single pronunciation error, which I cannot say about almost any other audiobook I've listened to. Overall, I would highly recommend it - the historical aspect is interesting regardless of the level of interest a person may have in financial systems and the details about stocks, bonds, currency, etc. are there for those who are already knowledgeable about the subject. A small note is that the writing on the book was completed in May 2008, so the parts about the late 2007/early 2008 subprime mortgage problems are sort of strange and feel incomplete, seeing as he didn't know that the crisis would escalate just a few months later. He doesn't make any predictions, but it is still a bit strange to read an assessment of the situation just before the worst of it really hit. If you know more about that crisis than I do (I am admittedly not very knowledgeable about it), you may find those discussions particularly interesting. We are all self-appointed experts when it comes to money (or at least real estate), but none of us really knows much history. For if we knew the history of booms and busts, bonds and equities, risk and insurance then we may all be a little less likely to jump into the latest bubble, and a little more likely to question our own "expertise". 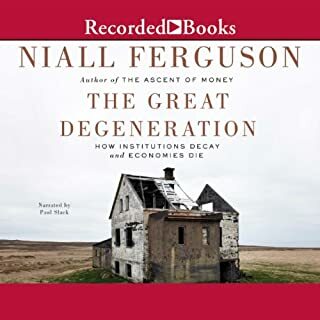 I admire Ferguson for taking on a big topic, and for his willingness to provide a grand sweep of history that reflects and helps us understand our current recession. The book was apparently written to accompany a documentary series, and it certainly reads that way. This is good and bad...and the narrative moves along quickly and big lessons are drawn - while at times leaving the reader wanting more analysis. One question that the author poses keeps coming back to me - have we been living through a "super bubble" from the 1950s to today, which will see a slow deflation in our lifetimes as property values stagnate and China is no longer willing to fund our consumption through their savings? This book is not so much about money but finance, which is too bad as I thought it would be about the former. The authour should have called it the Ascent of Finance. Dealing with such a large subject in a book this size is an impossible feat and I don't think the authour pulls it off. It hops around too much without any clear message, and when you wished the authour would zoom in on something to better explain it he jumps to a different topic. I think A Splendid Exchange by Peter Bernstein is a better history of economics/finance book by a long shot. As a non-financial background type person, i thought this was very enlightening, since i never think about concepts like these. While a little boring at times, overall, it opened my mind to a new way of conceptualizing what finance is all about. Also, the lessons of the book are really valuable: the regularity with which events like the current financial situation have recurred is a lesson to anyone who wants to invest or consider saving his/her own personal funds.